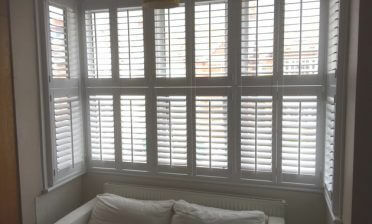 Mike was in Brentwood visiting Mr and Mrs Kennedy to install some new full height shutters to their bay windows. The client was looking for the ultimate mixture of lighting and privacy into their rooms that other window dressings just can’t provide! The shutters were perfectly designed using highly accurate measurements of the bay windows, as you can see fitting perfectly into each section. 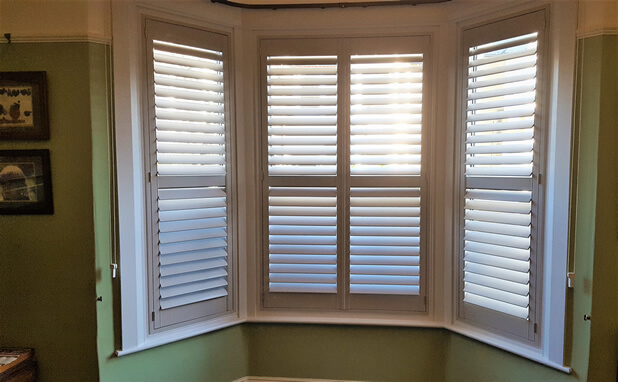 The shutters were crafted from our Fiji Range of premium hardwood which is strong, yet very light weight making opening, closing and adjusting a doddle for the whole family! 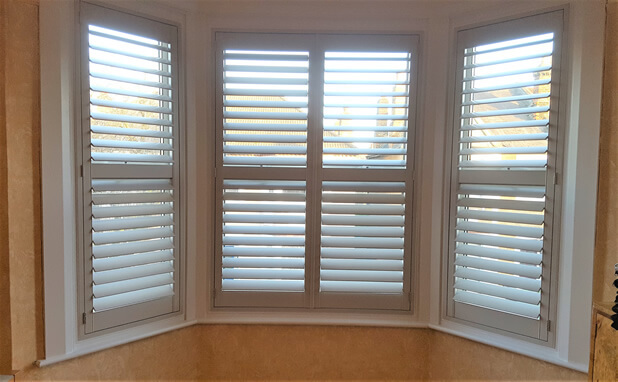 It was decided to use full height style shutters with a mid-rail exactly in the middle of the shutters, not only matching the lining of the windows behind, but making it far more flexible when it comes to adjustment by allowing the tops and bottoms to be separately controlled. 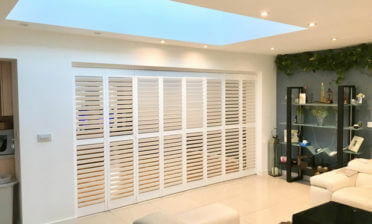 The shutters also feature our silent tilt rod system which allows for adjustment without the need of visible rods. 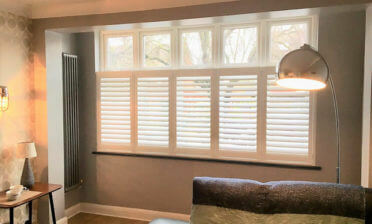 All shutters were finished in a lovely Sea Mist paint which sits nicely against the white window framing surround and helps the shutters stand out as a feature just a little bit from the window area. The shutters were hung with some brushed nickel hinges.